Developments in the South China Sea (SCS) have significant implications for India’s strategic interests and its role in the Indo-Pacific. 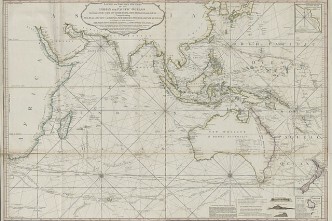 Yet New Delhi has traditionally maintained a safe distance from direct commentary on issues like SCS maritime disputes, instead emphasising the need for freedom of navigation. However, India now appears to be picking up the pace. Under the Modi government, New Delhi has turned the ‘Look East Policy’ into the ‘Act East Policy’, made direct comments on the need to resolve the SCS dispute, signed a joint strategic vision with the US for the Asia–Pacific and the Indian Ocean region and is in talks with key regional countries to increase security collaboration, especially in the maritime domain. The Modi Government recognises the SCS as an important elementof New Delhi’s relationship with the East, for both trade and strategic reasons. In order to strengthen its relationship with Southeast Asian nations, India has to portray itself as a credible security actor in the region. In making comments on the SCS disputes, India took a step in directly voicing its concerns rather than tip-toeing around the matter. New Delhi was clear to state the potential of the disputes in destabilising regional security through Joint Statement with the US, with Vietnam and at the East Asia Summit and the India–ASEAN summit 2014. India’s new posture on maritime security in the Asia–Pacific is perhaps a reflection of India’s willingness to set aside its rigid non-alignment policy when required. With the rise of China and its push into the Indian Ocean, India now may be realising the need to align with other key players in the region in moulding the evolving security architecture of the Indo-Pacific. Yet as another rising Asian giant India will always walk a thin line with China in as far as its engagement with Asian strategic affairs goes. Modi’s pragmatic understanding of the challenges and benefits of India’s relationship with China mean that a cautious approach to China will likely continue. Such caution is evident in New Delhi’s approach to increasing its security profile in the Asia–Pacific and Indian Ocean region. Soon after making some noise on the SCS affair, India softened its demeanour. New Delhi refrained from commenting on the dispute when the US flew a surveillance aircraft over China’s artificial islands and the international community joined Washington in condemning Chinese actions in the region. In the background, India has experienced some fresh troubles along its border with China and watched with concern as China has ventured into the Indian Ocean. In fact, Beijing recently warned India about cooperating with Vietnam on oil and gas exploration projects in the SCS, all the while China defends its own economic corridor with Pakistan. One of the crucial developments that could affect the future maritime security architecturein the Indian Ocean region was the docking of Chinese submarines in Pakistan following the docking in Sri Lanka late last year. China has also warned India about its reference to the Indian Ocean as its backyard. Chinese presence in the Indian Ocean is no longer a possibility, it is a reality. For India the challenge is in managing this development while securing its strategic interests in the region. The Indian Ocean has always been an area of primary interest for New Delhi and an increasing Chinese presence is bound to challenge the existing security order in the Indian Ocean region. India and China have always had troubles along their land boundaries but their strategic interests are now converging into the maritime domain as well. There will be serious ramifications for maritime security in the Indian Ocean if relations between the two rising Asian powers can’t be managed. The message from China is loud and clear. It wants to be a great power and will therefore take to the seas to establish its presence in the Asia–Pacific and beyond. 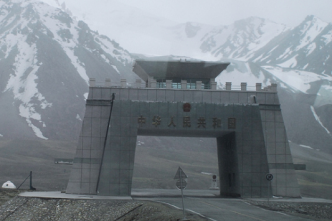 India’s been relatively quiet as China has done so and made a strategic miscalculation by not sending its defence minister to the Shangri-La Dialogue 2015—it’s crucial to show up and shape the discourse at any opportunity. The dialogue is a critical platform to voice concerns about regional security challenges. The Indian Defence Minister’s presence and his interactions with the other key players in the region would have been instrumental in putting across the message that India’s willing to take on its responsibilities and is preparing to play its part. India is now stepping forward by focusing on building and strengthening bilateral ties with the key regional actors like ASEAN. New Delhi has realised the need for multilateral engagement to balance the emerging security architecture and is focusing on building such models in the Indo–Pacific. Modi has reportedly talked about reviving the Quad, Japan will be again participating in Exercise MALABAR after eight years, India and Australia will be starting their first naval exercise in October and New Delhi appears to be interested in forming a stronger naval relationship with Indonesia. 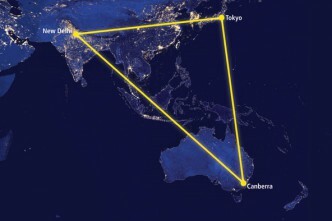 India also held the first Foreign Secretary-level trilateral meeting with Japan and Australia in June this year. Shared responsibility is the best way forward in the Indo–Pacific and India appears keen to play a more active security role in this environment. And there’s certainly scope for New Delhi to do more—being too cautious may harm the ‘credible security actor’ image that New Delhi desires. 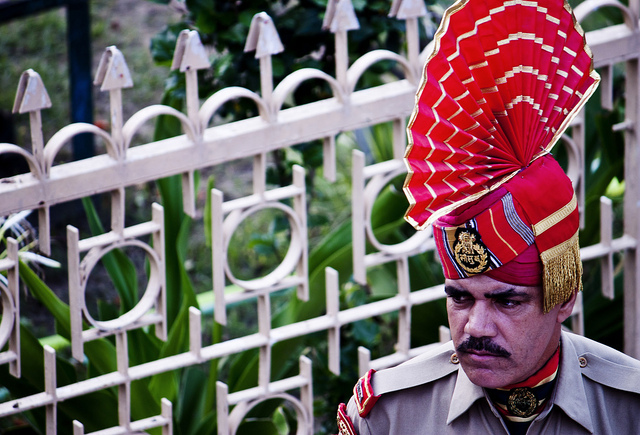 For now, New Delhi should continue to engage with other key players in the region and contribute more actively to the region’s security architecture and fora. But if New Delhi is to be taken seriously in the security space, it needs to more regularly and more publicly take action, both symbolically and substantively. Darshana M. Baruah is a junior fellow at the New Delhi-based think tank the Observer Research Foundation. Image courtesy of Jack Zalium.